About the Book: (from Goodreads) Michael is unsure about most things. Go to college? Enlist in the military? Break up with his girlfriend? All big question marks. He is living for the moment and all he wants is a few days at the biggest concert of the summer. 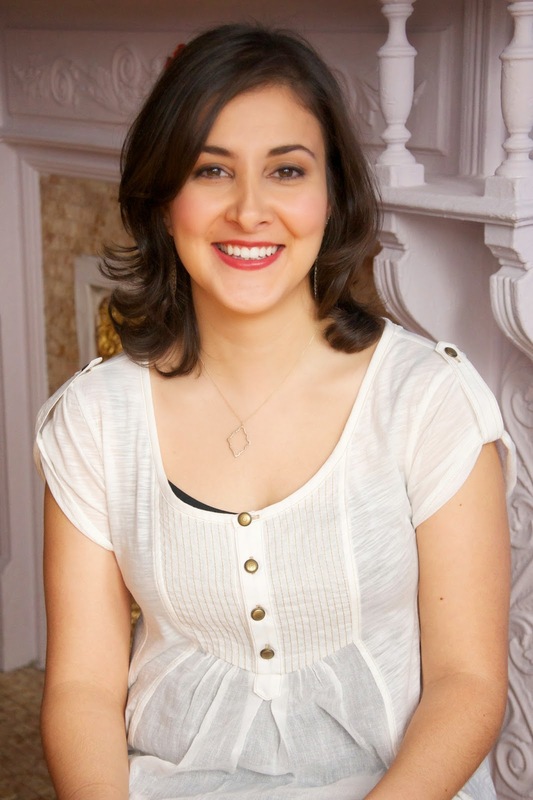 I am excited to welcome author Sarvenaz Tash to GreenBeanTeenQueen! 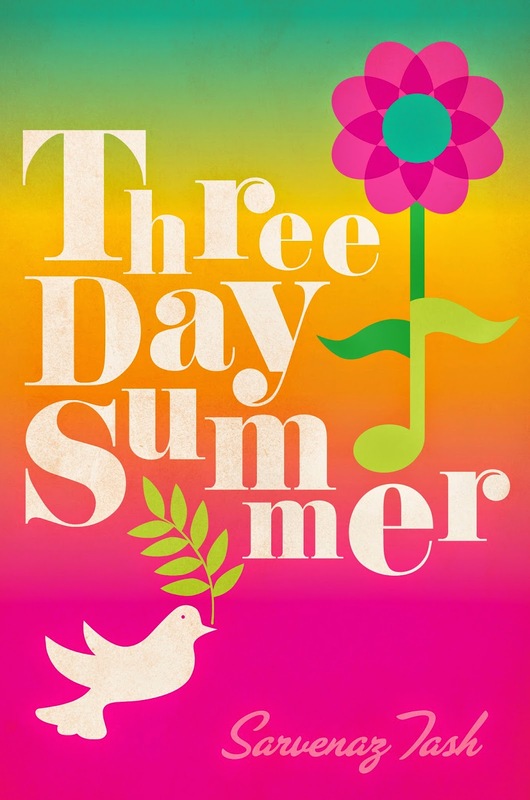 Her newest book, Three Day Summer, is all about Woodstock. She captures the atmosphere and the music and I wanted to know more about the music in the book and the playlists she made to get inspired to write. I love this playlist and listening to it gets me in the mood for summer (and to read Sarvenaz's awesome book!) Be sure to check out the rest of her tour stops as well! It will probably come as no surprise that I love the music of the 1960s. And although I myself was a teenager during the bizarre grunge/pop hybrid that was the mid- to late ‘90s, I actually spent most of my high school years listening to this music instead. Between the out-of-this-world harmonies and the profound lyrics (partially taken from the Bible no less! ), this is just one of those songs that makes me feel calm, reflective, and peaceful. I thought it was fitting since the peace sign is one of the most enduring symbols of the 1960s. True to its title, this song just makes me feel toe-tappingly happy and, I think, is indicative of the some of the best pop to come out of the decade. Plus it’s about being head over heels in love which, of course, also goes along with the book. I’m not sure it’s possible to find a more gutsy and gut-wrenching performance of a song that’s both about heartbreak and about girl power. (This line: “I’m going to show you, baby, that a woman can be tough” is a particular favorite to belt out in the shower! Amiright, ladies?). Janis plays an important role in the book and she performed this song at Woodstock too! Another song with harmonies that slay me in the best way. I also think the lyrics portray both the hope and the heartache that came with the changing face of what it was to be young in 1960s America. The sound of Motown was a huge, indelible part of the 1960s and The Supremes were for sure the queens of it. Yes, this has played at every Sweet 16 you’ve been to since the beginning of time (or, at least, since 1968) but there’s a reason for it: you simply must sing and dance along to its unshakeable beat. From another Woodstock performer, I love the contrast of this song to the one before it and I think it’s a great example of some of the more psychedelic sounds of the decades. Plus lead singer Grace Slick is another fantastic rocker chick that embodies the feminist spirit of the decade. You can’t love the ‘60s without loving the beautiful harmonies of The Beach Boys and this one is one of my very favorite love songs of theirs . . . that also just happens to be about drag racing. Remember all that girl power I mentioned before? In the age of Gloria Steinem and Betty Friedan, this kiss-off anthem just fits right in. Plus I know that Nancy wore a lot of fabulous go-go boots to perform it—and what is more ‘60s than that?! The lyrics don’t make a whole lot of sense (why is this person friends with a bullfrog?!) but you can’t help singing along anyway as this ode to the world is quite joyous indeed. Full confession: The Monkees were my first-ever concert (see the first paragraph of this post) and I’ve adored them for practically as long as I can remember. Though they started out as a made-for-TV Beatles parody band, they ended up with some truly spectacular songs in their oeuvre. This bouncy number is a particular favorite. Also performed at Woodstock, this song comes in at a key point in the story. I also think it has a particular rock/bluegrass vibe that was a big part of the ‘60s sound. I find this song both sultry and trippy, which I think showcases yet another facet of the decade. The ultimate anthem for the teen population of the 1960s? I think so! Of course, I’m not sure how the Who feel now about belting out lyrics like “I hope I die before I grow old” but I think that it’s hard to find a song that better embodies the universal feeling of being young and misunderstood. A song that remains as beautiful and pertinent today as it did when it came out, Cooke was directly singing about the civil rights movement of the 1960s and the hope for a better tomorrow that led so many to fight for equality. Thank you so much for hosting this post and playlist, Sarah! I love ALL of these songs!! I need this book!